The Palace of Arts brings back again this year its hugely successful Open Air Winter wonderland with plenty of theatre, concerts and children's programs in the Marquee and skating rink, from December 2 until 30. Winter fun is of course not complete without exciting cultural programs. The Müpa Marquee will be offering colorful children’s programs, spectacular contemporary circus performances and theatrical productions as well as pop-music concerts. Guests include BANDART, a performance combining theatre with the latest digital technology; while in addition to its breathtaking show, this year the Recirquel Contemporary Circus Company is also presenting a matinee show for children. 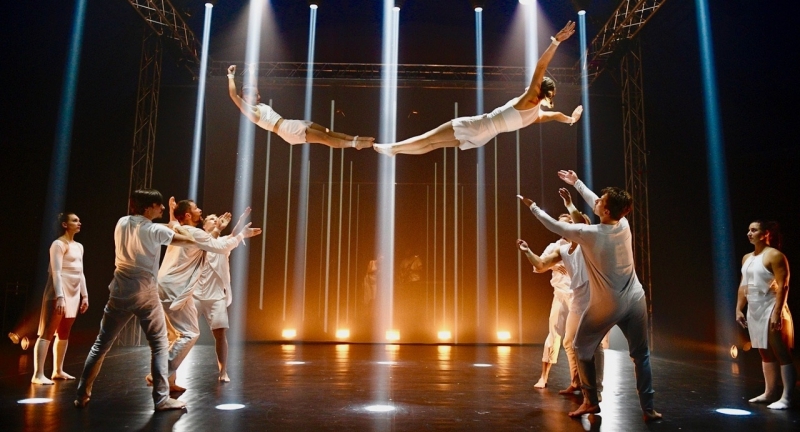 At the ring of the Müpa Marquee, there will be guest performances by two other international contemporary circus companies: the award-winning FAUNA Circus and Losers Cirque Company, featuring actors, acrobats and dancers, that promise to captivate audiences. The children’s show performers will include Kaláka, Kolompos Együttes, Péter Molnár Kálloy and the Modern Art Orchestra as well as PASO. There are also exciting surprises in store for the little ones as on December 3rd, none other than Joulupukki, the Finnish Santa Claus himself, will pay them a visit. Pop-music fans are also in for an exceptional treat at the Müpa Marquee. In addition to the Kultúrpart Advent event, performers including Jazzation, as well as Nikolas Takács and Nikoletta Szőke (promising a special performance) will guarantee quality entertainment. After last year’s great success, the Müpa ice rink welcomes skaters just outside the main entrance of the Müpa building. Up to 80 skaters at a time can use the 400m2 surface of ice to glide around to music broadcast by Müpa Radio’s Easy and Symphony channels. Tickets are available for HUF 500, but the use of the ice rink is free of charge for one time with a valid Müpa Budapest, Müpa Marquee or Ludwig Museum ticket. The rink-side covered snack-bar offers classic winter treats including mulled wine, hot chocolate and spiced apple juice. Weekdays: 2 p.m. to 8 p.m. Weekends and during school holidays: 10 a.m. to 8 p.m.